A new benchmark in affordable excellence. Mayfair Homes brings their award-winning designs and luxury livable interiors to create the Curzon Apartments. A masterpiece of modern design & flawless quality. Be sure to connect with us to stay up-to-date on the development. A masterpiece of modern design and flawless quality, this exceptional residence defines luxury. The Curzon Apartments takes centre stage, to the stunning backdrop that is the Molonglo Valley. This iconic building challenges the liveability and quality in Canberra apartment developments, demanding a new benchmark. Attention to detail was of the utmost importance. The award winning interior design team at Mayfair Homes have created inspired interiors that maximise space, and are liveable and elegant. Looking to introduce elements that have never been seen before, Mayfair Homes created the Lifestyle Pod, incorporating the functional areas of a home, the kitchen, walk-in pantry, laundry and study into one space efficient pod design. Utilising technology and future proof design concepts, each residence is perfect for the lifestyles of today and tomorrow. 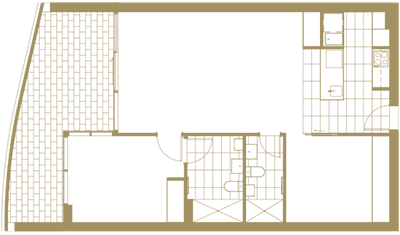 Multi-award winning Canberra based residential construction company, Mayfair Homes bring their highly sought after creations to apartment living. After perfecting residential home building, Mayfair Homes epitomise opulence in all elements of residential design. Renowned for their ability to bring life to space, their mission was to create an iconic building at the gateway of the Molongo Valley. After intense collaboration between Mayfair Homes and Cox Architecture, a timeless structure has been created that challenges the liveability and quality of apartment developments in Canberra. The vision behind this building is to offer a quality of finishes and materials that is unmatched anywhere in the area. The Curzon Apartments incorporates 78 apartments, of which six that sit in a stand-alone building, The Residence. Every material and square metre has been researched, planned and delivered with no expense spared. This development exemplifies luxury. At the doorsteps of the Curzon Apartments is an outdoor playground to suit every lifestyle. With renowned world-class mountain biking, hiking and scenic adventures, this location takes advantage of Canberra's best offerings. Located only a short drive from Australian National University, the Parliamentary Triangle, and some of the best bars, cafes and restaurants in town, you have everything you need within minutes. This location is highly desirable in Canberra, with record land sales and limited supply, this affulent suburb is ideal for owner occupiers and investors. After noticing a gap in the quality of apartments in Canberra and in particular the Molonglo Valley it was the mission of Mayfair Homes to create a new building that would raise the standard in quality in the area. A vision to create an iconic building at the gateway of this beautiful area offering a quality of finishes and materials that is unmatched. 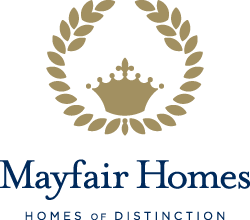 Mayfair Homes have worked intensively on every square meter of this development. In collaboration and Cox Architecture, they have created a remarkable structure has been created that challenges the live-ability and quality of apartment developments in Canberra. Attention to detail was of the utmost importance, creating interiors that maximise space, light and that ultimately enhances live-ability. The development consists of 78 apartments with 12 tailored individual floorplan types. View the stunning architecture and quality finishes. Please fill out the information below and Mayfair Homes will contact you as soon as possible. Mayfair Homes is a family owned Canberra based residential construction company. They have specialized in the Canberra residential building market for more than 20 years. Mayfair Homes was created to fill a gap in the residential construction market for high quality custom built homes. The vision was to successfully do what others had yet to achieve elegance, quality and affordability. They are a multi-award winning builder, having won numerous awards. The current display home for residential houses was named Australian display home of the year. Mayfair designs and concepts are highly sought after. They strive to epitomise luxury in all elements of residential design. They are well known for their ability to work with clients to create their perfect home with luxury inclusions. Close to 100 residential homes have been created by Mayfair Homes, with numerous currently in development across suburbs like Wright, Coombs, Moncrieff, and Lawson. Recent Mayfair Homes awards, learn more here. The Curzon apartments are within a 10min short drive to Australian National University, the Parliamentary Triangle, and the city centre. A bus stop right outside the door offers easy access to major amenities. This location is highly desirable in Canberra, with record land sales and limited supply. The area offers amazing recreational areas, sweeping views of the Molonglo valley, the tower and all Canberra landmarks including parliament house. Stay up to date on the Curzon Apartments! ©2014-2019 Mayfair Homes. All Rights Reserved. Management by Nerio Communications. Website solutions by BRAMA Media.